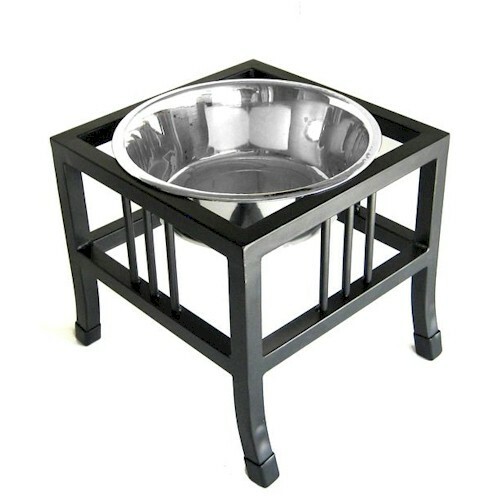 Baron Triple Bowl Dog Food Water Diner Raised Feeder features the best selling Baron Single and Double Bowl Design. The raised feeder comes with non-skid plastic tips on feet of the raised dog dish feed stand. The triple dog bowl diner is perfect for pet owners with multiple dogs. Providing a comfortable feeder height for dogs promote better posture and aids digestion.